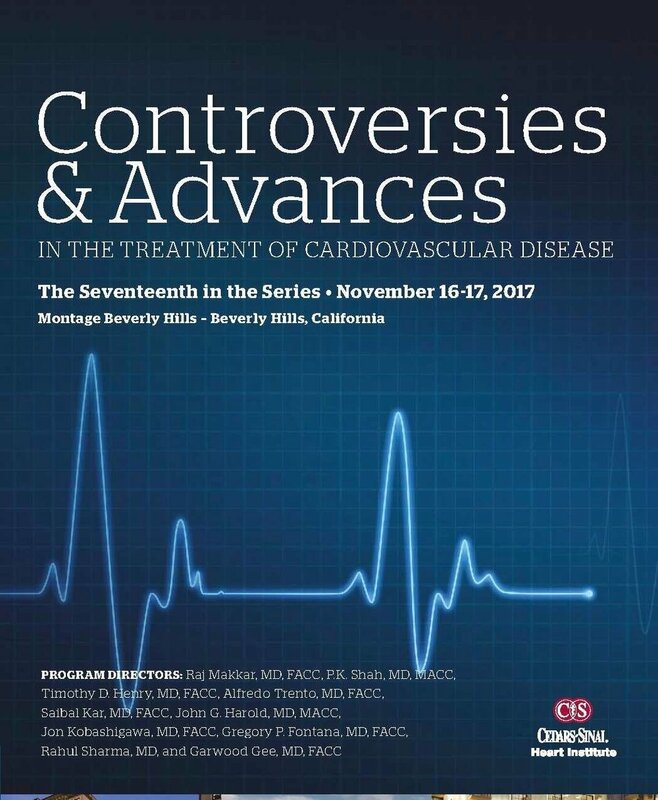 I just returned from an incredibly informative 2 day conference, CONTROVERSIES & ADVANCES IN CARDIOLOGY given by Cedars Sinai Medical Center. The latest and greatest in both the invasive and non-invasive aspects of my specialty were brilliantly presented by renown cardiologists.. What's particularly exciting to me is how Artificial Intelligence and the entire spectrum of the digital world is making a difference in patient care. The focus needs to be on HEALTH rather than just providing health care. Virtual reality systems are being set up in hospitals so that patients in pain can engage in a 3-D program,rather than stare at the blank walls, The results are quite promising. Statins are still the buzz word. The new thinking is that anyone undergoing a coronary artery scan with a calcium score greater than 1 needs to be on a statin ,or whatever it takes to get the Ldl (lousy cholesterol) to a level less than 70. Now as an integrative cardiologist, I don't really buy that (at least in regard to the patients I see). Ldl cholesterol is but one piece of he pie. But I get it, Most cardiologists base their decision making on the conclusions of large randomized trials. The problem is that not all patients fall into a certain class. Some are truly committed to making lifestyle changes.